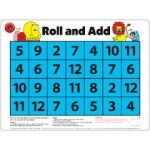 Roll the two dice, add the sum and place one of your play chips on the correct number - but be quick! The first player who can place four play chips, side by side, in any direction on the number ladder can win the game by calling "Fires Out!" The cloth-backed vinyl mat measures 33cm x 50cm and co..
25mm Giant Dice, Pet storage jar of 16. Wooden with rounded corners in 4 different colours .. 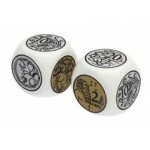 This coin dice set of 2 is ideal for activities using both coins and notes. Each dice 3cm cube. ..
A simple mathematical game in a fun to learn format which combines the skills of tactical noughts and crosses with the addition facts for numbers 2 -12. 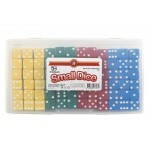 This game allows 4 players to participate and comes complete with dice, giant counters and storage bag. 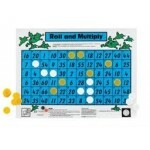 Instructions are printed permanently on the..
A simple mathematical game in a fun to learn format, which combines the skills of tactical noughts and crosses with addition facts for numbers 2  12. Never despair of losing the instructions as they are printed on each mat for permanent reference. 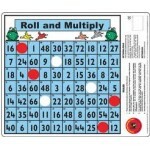 These colourful desk games are printed on a st..
A floor game designed to encourage children to learn or to reinforce the multiplication facts from the 1 times to the 6 times tables. This giant floor game measures 67cm x 50cm and includes 40 counters, 2 dice and storage bag. 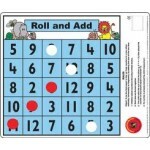 Instructions are printed permanently on the bottom of the durable wipe cl..
A desk game designed to encourage children to learn or to reinforce the multiplication facts from the one times table to the six times table.Never despair of losing the instructions as they are printed on each mat for permanent reference. 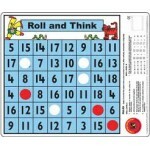 These colourful desk games are printed on a strong mat 33cm x.. 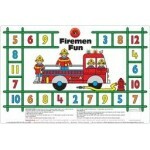 This attractive game is printed in non-toxic inks on a heavy duty mat measuring 67cm x 72cm. 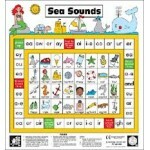 The game is designed to be played by 2-4 children and comes complete with 4 movers, dice and 40 counters. Players take turns to move around the outer game track. Each time a player lands on a "sound" square .. 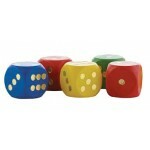 These Small plastic 16mm Dice comes in four colours, red, yellow, blue and green and are supplied in a sturdy PET jar. 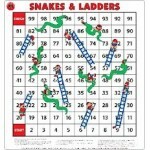 72pc ..
Snakes and Ladders is regarded as a worldwide classic game. These time honoured games are presented in a practical format for the busy classroom. Roll the dice and make your way up the mat, if you land on a ladder you will move ahead but watch out for those slippery snakes that will ta..
Showroom Hours: at 75 King William Street, KENT TOWN.